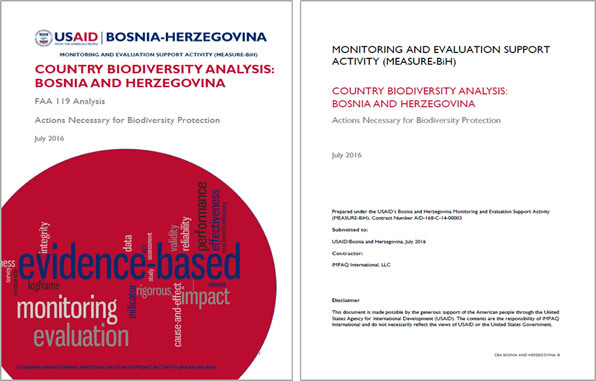 Country Biodiversity Analysis for BiH: Actions Necessary for Biodiversity Protection is one of the two biological diversity assessment reports which MEASURE-BiH is preparing for USAID/BiH. The assessment is intended to assist the USAID/BiH during the 2016-2012 strategic planning process by identifying the actions necessary to conserve biodiversity in the country, and the extent to which actions proposed meet the needs thus identified. 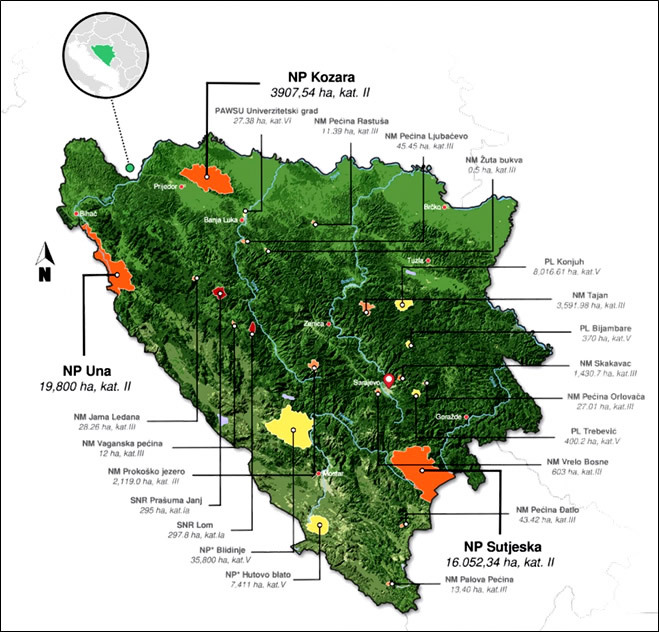 Previous biodiversity analyses conducted by USAID/BiH and other similar assessments and reports by international organizations and BiH authorities are used as references for this analysis, as well as the regional European Union frameworks and policies that are applicable to biodiversity, water resources, and forests that might influence BiH presently or in the future. The report identifies 54 specific actions aiming at addressing biodiversity conservation needs. Methodology used for the assessment is based on information obtained from desk review of background documents related to biodiversity and information obtained through: (i) interviews with key stakeholders, (ii) surveys, and (iii) focus groups in local communities. This Report contains systematically collected, sorted and processed information about biodiversity in BiH, summarized and described in the following manner: (i) the status of biological diversity, (ii) threats to biodiversity (iii) society’s responses, (iv) biodiversity value identification (v) biodiversity conservation needs (vi) relevant current and planned activities (donors and international non-governmental organization (NGOs)), and (vii) actions needed to conserve biodiversity.